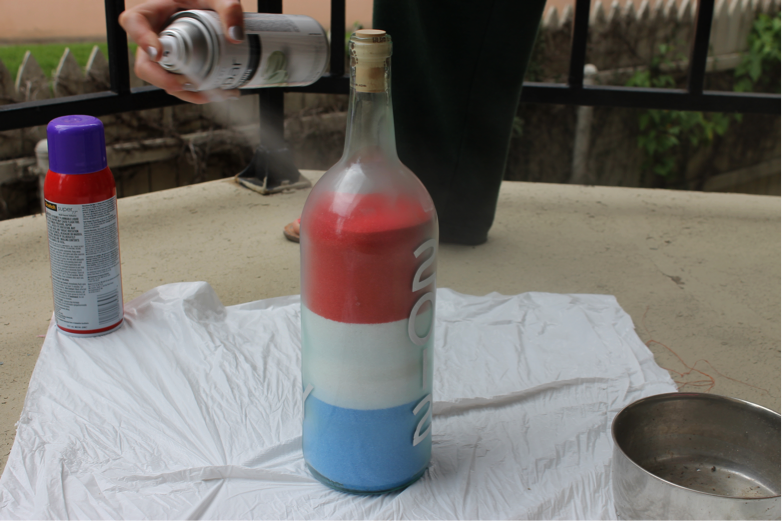 Fill the bottle with the colored sand. 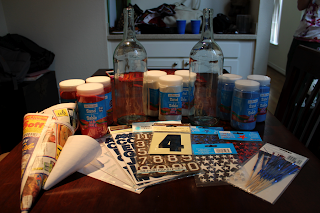 You can do any pattern you wish. 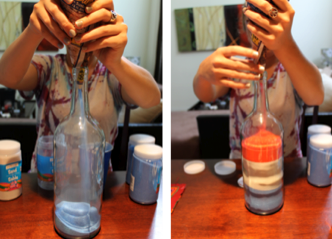 You can use a rolled up newspaper to help funnel the sand into the bottle without creating a mess. 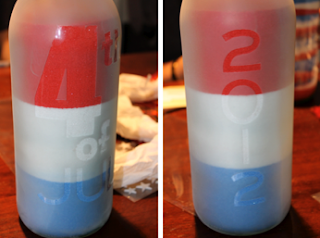 Stick the letter/number stencils onto the bottle. You can spell out whatever you would like. We chose to spell out “4th of July” “2012”. Frost the outside of the bottle. Let dry. 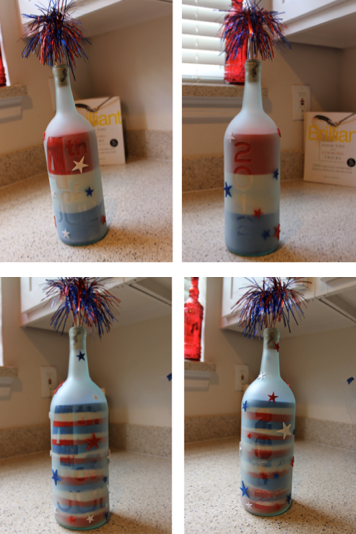 Decorate the outside of the bottle however you please. We chose to do glittery star stickers and sparkler toothpicks. 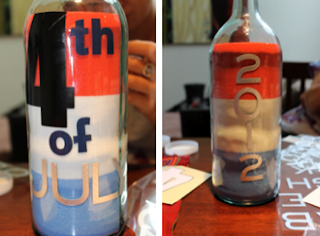 Keep in mind, you can do this for basically any holiday.